Given the amount of straight to home video releases that hit stores each week, it is a challenge to keep on top of the best of the bunch. Slipping through the net is recently released mystery thriller, Deception (also titled The Best Offer and La migliore offerta in its native Italian). Deception is a firm example of a feature that is deserving of a theatrical release, yet instead will be destined for cult adoration (certainly not a bad thing). It is aesthetically gorgeous cinema, complete with an immersive and affecting narrative and sensational performances. Geoffrey Rush stars as Virgil Oldman a respected auctioneer who grows increasingly obsessed with an agoraphobic heiress who collects fine art. Virgil's previous life of order and acclaim begins to get lost in the chaos and mystery surrounding the young woman. Writer-Director Giuseppe Tornatore has crafted a sweeping mystery thriller that harks back to the golden days of the genre when Hitchcock was making films like Vertigo and Marnie. This gradual tale of obsession taking over the established order of one's life still makes for a fascinating subject matter in this classy psychological thriller. 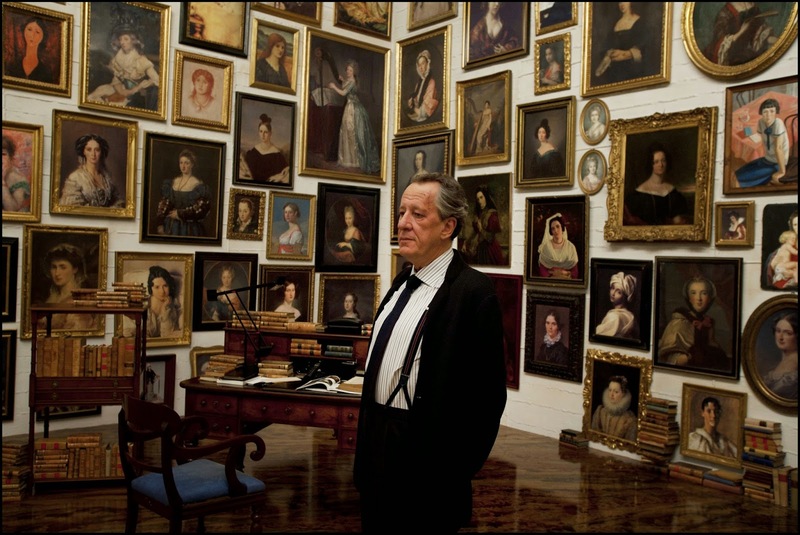 The aesthetic of Deception furthers this sweeping sense of class and stilted glamour - Tornatore's direction and cinematography from Fabio Zamarion ensure that every shot of the film is packed with visual awe: from Oldman's high-ceilinged storeroom filled sky-high with paintings (see main photo) to the stark emptiness and abandoned beauty of the heiresses' mansion. Ennio Morricone's gorgeous score perfectly soundtracks these bold settings. Tornatore's screenplay is filled with intrigue, mystery, and brooding unease. From the onset it is reasonably clear in which direction Deception is heading - with mistrust, double-crossing and foul-play making regular appearances within the narrative. This awareness of the film's direction perhaps benefits proceedings - there is a dreadful sense of foreboding lurking through the charm of Deception - we know what the plot twist is, but how we get to it remains fascinating nonetheless. Further suspicion comes from the fact that various characters's motivations are never clear: from Billy (Oldman's long-time friend) played with skittish energy by Donald Sutherland to Jim Sturgess's overtly charming engineer, Roger. Throughout Deception we remain fully immersed in the narrative thanks to a captivating central performance from Geoffrey Rush. Watching Oldman's transition from a detached and uptight auctioneer to an obsessed romantic makes him an intriguing protagonist whose humanity gradually unveils during the course of the film, allowing us to fully emphasise with the character. When people say "They don't like films like Hitchcock's any more," Deception is proof that they do. This is a tense, visually rich watch, complete with a narrative packed with mystery romance, suspense and treachery. Deception is out on DVD now.